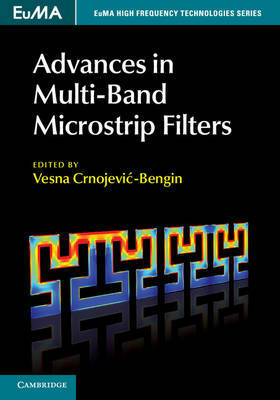 The first of its kind, this work offers a detailed insight into a range of design procedures for dual-band and tri-band microstrip filters, from theory to practical design. Originating from the FP7 MultiWaveS project, this comprehensive resource includes the most recent results from several well-established research groups, as well as detailed coverage of competing approaches, ranging from the conventional approach to advanced multilayer fabrication technologies, and the development and application of several novel geometries and concepts. In-depth coverage of basic theoretical foundations, detailed design procedures and rules, and comparisons of measured and simulated results enable you to select the optimal approach for your purposes and designs, making this an invaluable resource for both students and industry professionals in the field of microwave engineering.